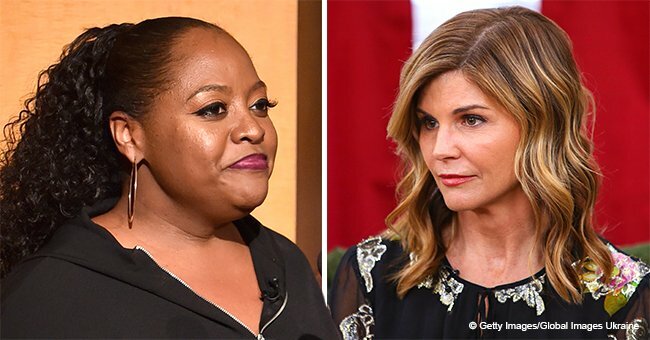 On Wednesday, two college students left their campus to support the actress, Lori Loughlin, during her court hearing in Boston. The students explained that they didn’t think she was innocent but had another reason for showing support. Instead, the pair skipped classes and went to support her just because they were big fans of the star. “Full House” and “Fuller House” actress, Lori Loughlin appeared at the Boston federal courthouse this week to face charges for her alleged involvement in the college admissions scam. Waiting outside for her arrival were two fans from Boston’s Bentley University. 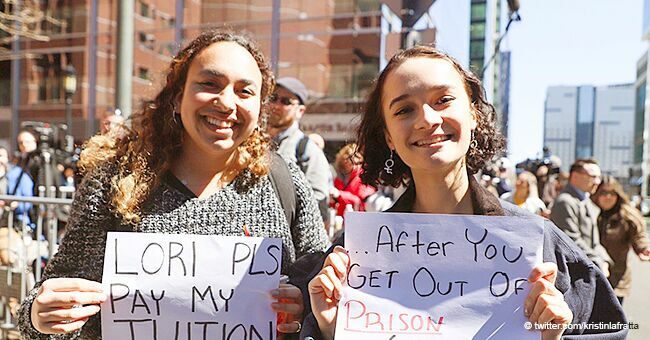 Lianna Ferrara, 20, and Alyssa Stevens, 21, came to support the actress only because they had happy childhood memories of watching her on the ABC family sitcom “Full House.” The pair made paper masks of her face and chanted “Free Aunt Becky!” while waiting for her to arrive. Ferrara explained their position saying, “We don’t condone what she did.” The two students both studied hard for hours for their SAT and ACT exams in order to gain acceptance to Bentley University. Loughlin and her husband, designer Mossimo Giannulli, were accused of paying $500,000 to be part of the scheme. The bribe allegedly allowed them to give their two daughters access into USC. The two girls also revealed that they were “getting hate all day” for publicly supporting Loughlin. They weren’t the only ones present outside the courthouse that day. Loughlin and her husband had a 6-minute hearing where they waived their right for a preliminary hearing. They also agreed to several pretrial conditions, including surrendering their passports and to possess no firearms. After the hearing, the actress reached over to the next table to shake the hands of the prosecutors. Felicity Huffman also had her own three-minute hearing where she agreed to the same pretrial conditions as Loughlin.